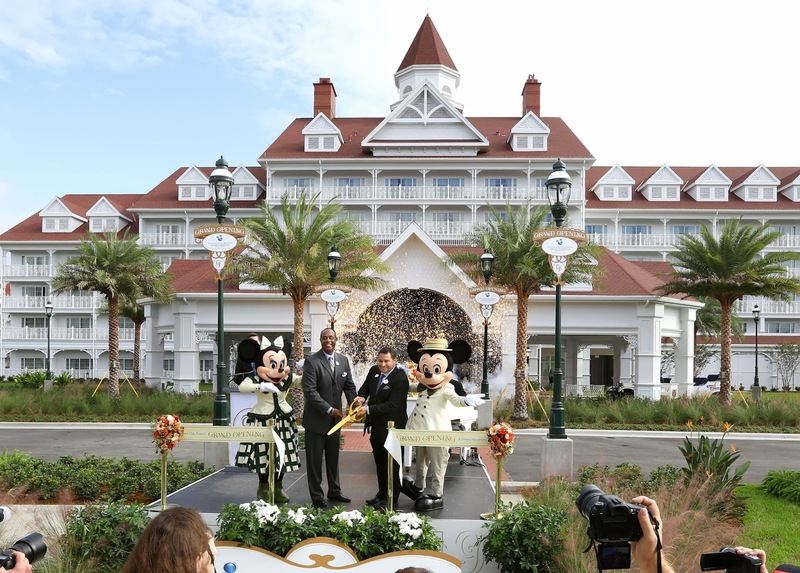 Disney Vacation Club welcomes its 12th resort to its portfolio of vacation destinations with the opening of The Villas at Disney’s Grand Floridian Resort & Spa, located within walking distance of a monorail ride to Magic Kingdom Park. The resort – reminiscent of the golden age of a bygone Victorian era - resides alongside the picturesque shores of Seven Seas Lagoon, steps away from the myriad world-class dining and recreation offerings available at Disney’s Grand Floridian Resort & Spa, the flagship Walt Disney World resort experience. The new resort features a variety of villa accommodations that sleep anywhere from five to nine guests, all designed to bring families closer and create memories that last a lifetime. The resort is the first Disney Vacation Club property to feature deluxe studios that sleep up to five guests. Additionally, expansive grand villas sleep 12 guests and feature multiple bedrooms and bathrooms, as well as a media room with a home theater system. 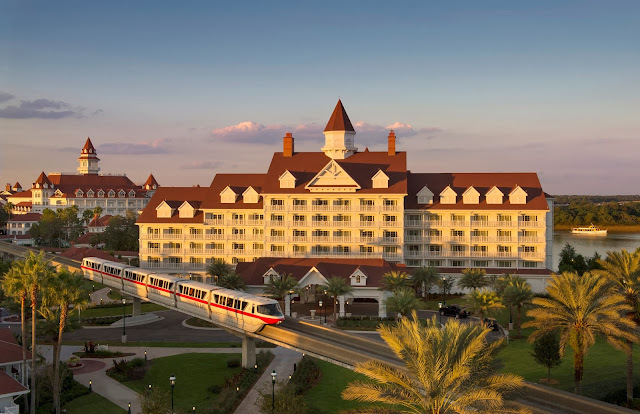 The villas evoke a casual elegance, continuing the distinctive design of Disney’s Grand Floridian Resort & Spa while providing modern luxuries and whimsical Disney touches. A delightful Mary Poppins-themed bronze fountain with playful penguins waits to greet guests as they step into the lobby. Adorning the lobby’s atrium are also two five-tier custom grand chandeliers with a light antiqued-brass finish and decorative green crystals. Nearby at Disney’s Grand Floridian Resort & Spa, a children’s water-play area and private, poolside cabanas rest alongside Seven Seas Lagoon, nestled between Magic Kingdom Park and Disney’s Polynesian Resort. Disney’s Grand Floridian Resort & Spa covers approximately 40 acres and has provided premium entertainment, recreation and dining since its ribbon-cutting ceremony in 1988. From its musicians entertaining daily in the lobby and delectable dining options (including the Supercalifragilistic Breakfast, Garden View Tea Room, Cinderella’s Happily Ever After Dinner, Citricos, the AAA Five Diamond award-winning Victoria & Albert’s, among many more) to its recreational opportunities such as watercraft rentals, white-sand beach, pirate adventure cruises and the rejuvenating Senses – A Disney Spa, Disney’s Grand Floridian Resort & Spa is known as the crown jewel of the Walt Disney World Resort hotels. Additionally, the second floor of the resort leads to the monorail platform, which can whisk guests to Magic Kingdom within minutes. Disney Vacation Club, a leader in vacation ownership, debuted in 1991 with a flexible, vacation points-based system rather than the traditional fixed-week timeshare model. Today, Disney Vacation Club is approaching a total of 200,000 member families, from all 50 states and approximately 100 countries, who have discovered the joys of membership. Disney Vacation Club members are able to choose from among a variety of exciting vacation destinations, including a stay at any Disney Vacation Club resort or one of more than 500 other destinations around the world. When purchasing directly from Disney, members can also take trips on one of the Disney Cruise Line ships or guided vacations with Adventures by Disney. Vacations at a Disney Vacation Club resort can last anywhere from one night to several weeks. Walt Disney Parks and Resorts are where families’ vacation dreams come true. More than 50 years ago, Walt Disney created a new kind of entertainment that families could experience together, immersed in detailed atmospheres and vibrant storytelling and classic Disney characters. His vision now includes a collection of five of the world’s leading family vacation destinations – Disneyland Resort, Anaheim, Calif.; Walt Disney World Resort, Lake Buena Vista, Fla.; Tokyo Disney Resort, Urayasu, Chiba, Japan; Disneyland Paris, Marne-la-Vallée, France; and Hong Kong Disneyland Resort, located on Lantau Island. In addition, Walt Disney Parks and Resorts includes the world-class Disney Cruise Line; Disney Vacation Club, with 12 resorts; Adventures by Disney, a guided group vacation experience to some of the world’s most popular and exotic destinations; and Walt Disney Imagineering, which creates and designs all Disney parks, resorts and attractions.